*All entrees are served with choice of salad, pasta, potato or rice, fresh vegetables, dinner rolls and butter, coffee and iced tea. ** Prices are subject to sales tax and 17% gratuity. Includes: Vegetables, 1 Starch, Salad Bar, Homemade Desserts, and Iced Tea. 6oz breast of chicken topped with Italian sauce and mozzarella cheese and served with linguine pasta. Sauteed with lemon butter and capers. 6oz chicken breast sauteed in Marsala wine with lots of fresh mushrooms. Sauteed chicken breast in olive oil served over sauteed spinach and topped with Alfredo sauce. Sauteed breast of chicken in white wine topped with cilantro sauce served with rice pilaf and choice of vegetables. 6oz breast of chicken stuffed with ham and Swiss cheese, topped with bechamel sauce. Sauteed with onions and green peppers. Choice of Scrambled Eggs, Ham & Cheese or Chorizo with Egg, Bacon or Sausage, Potatoes or Hash Browns, Biscuits & Coffee. Scrambled Eggs, Migas a la Mexicana, Pancakes, Bacon or Sausage, Potatoes or Hash Browns, Biscuits, Fresh Fruit or Coffee. Include Orange Juice $2.00 additional per person. *Includes: Spanish Rice, Refried Beans, Corn or Flour Tortillas, Homemade Desserts & Iced Teas. *Includes: Vegetables, 1 Starch, Salad Bar, Homemade Desserts & Iced Tea. © Copyrighted 2018.  Ricardo's Restaurant.